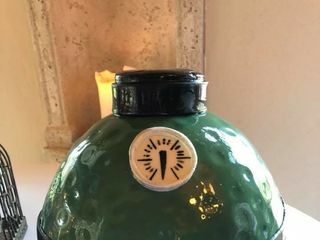 ROCKIN' custom cakes that put on an incredible visual show & leave your guests' taste buds screaming for more! 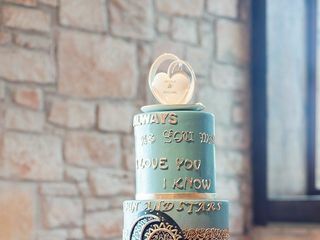 Austin, Texas, Cake Artist Christy Seguin bakes all her cakes from scratch using the finest ingredients, organic when feasible, & then sculpts them into personalized works of art that are the Rock Star of your celebration & create memories lasting a lifetime. 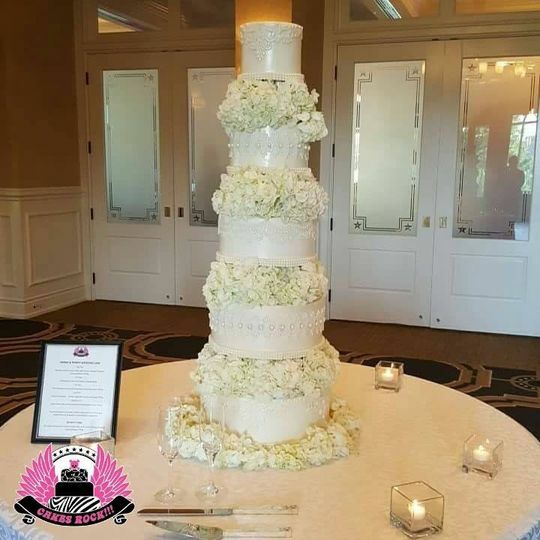 We specialize in wedding cakes that visually impress your guests & then astound them with the delicious taste. 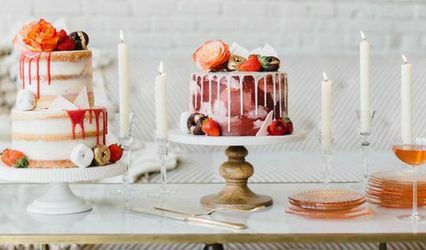 With our cakes, they will be raving that they taste just as good as they look. 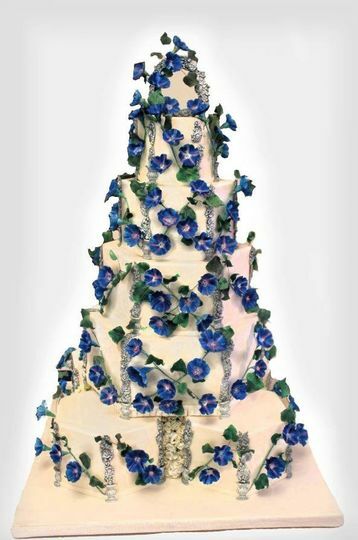 Your wedding cake is the second most important focal point of your wedding, after your dress. While you're still having your pictures taken after the ceremony, your guests are waiting for you at your reception, & what are they look at? 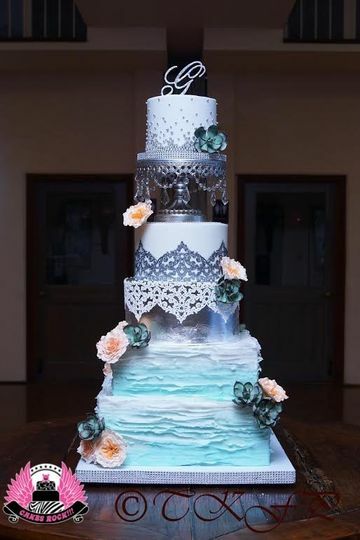 The wedding cake! It's the Rock Star of your reception & deserves to be spectacular! A good cake artist can make a styrofoam dummy LOOK good, but at the end of the day, a cake is supposed to be an amazingly delicious dessert. We will customize your cake flavors to you & even create flavors if you don't see something on our menu that you really want. Cakes ROCK!!! is not only a wizard with decor, but a mad scientist in the kitchen! 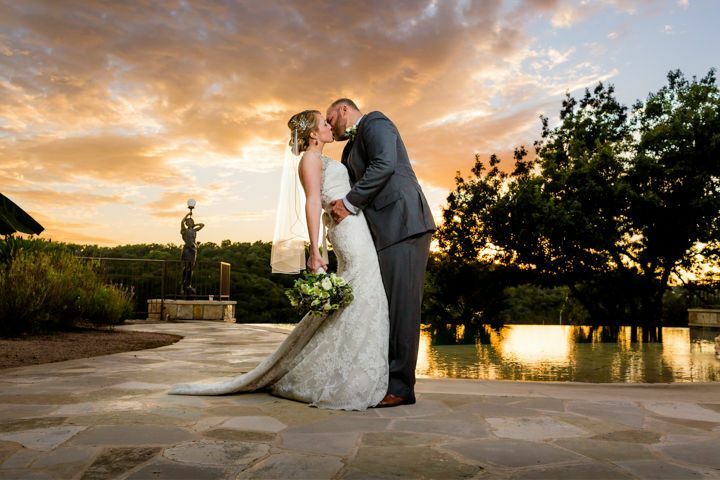 We are proud that we serve so many destination brides from Houston, San Antonio, Dallas, & all over the United States. 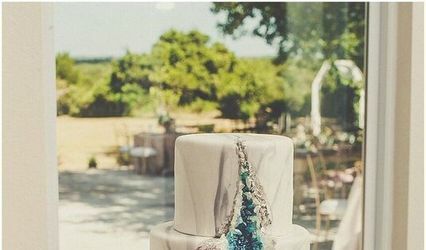 If you are having a destination wedding in Austin or the gorgeous Texas Hill Country near Dripping Springs, Fredericksburg, or Blanco, we are experts in making everything about your wedding cake go smoothly. 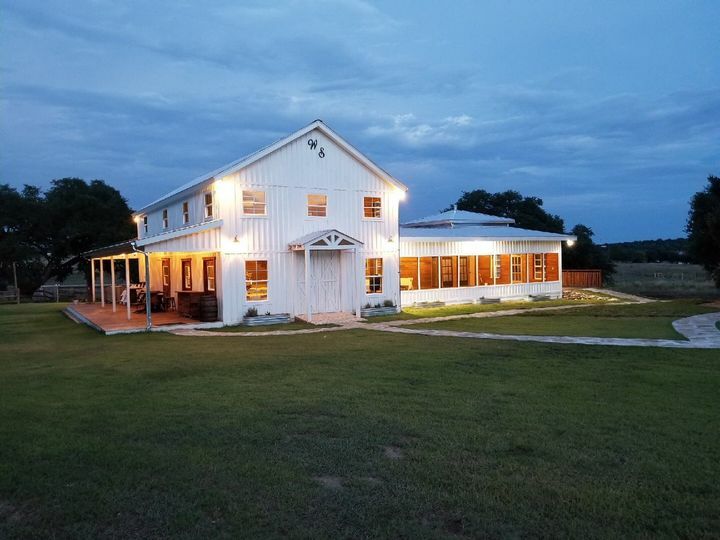 And we are also connected to the absolute best vendors in the Austin area, and are happy to refer you to anyone you may need. We are here to help! REAL edible gold leaf on second tier. 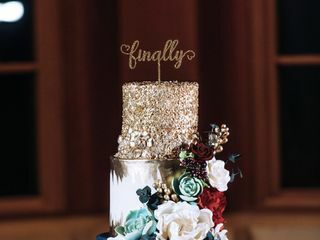 Underlit cake stand separator adds sparkle & drama. 7 tier cake for a 7-year-old MTV reality star. Featured on MTV news for Teen Mom OG. 33 Reviews for Cakes ROCK!!! 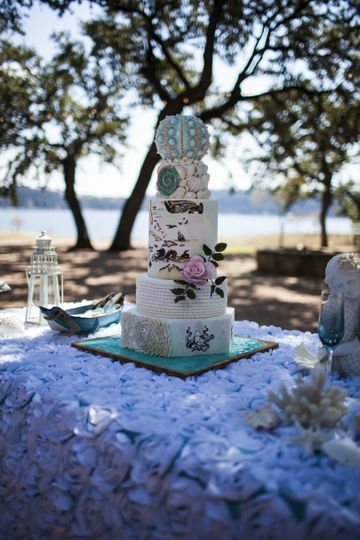 We had such a great experience with Cakes Rock in Austin. The owner met with us for our tasting and we so sweet. The prices were very affordable. 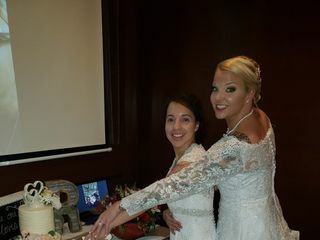 The cake was exactly how we’d wished it would be and most importantly, it was delicious! Thank you so much, Natasha! 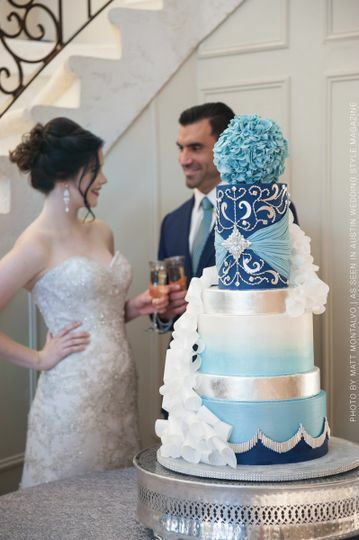 It was truly our pleasure creating your cake, & we wish you both a lifetime of love & happiness! 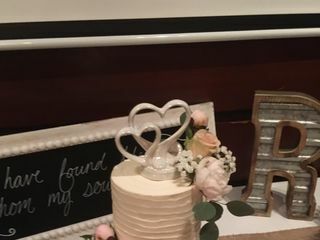 My husband and I had two cakes at our wedding and they were both wonderful. The work that Christy does is absolute art and delicious at the same time. We had a great meeting with Christy and told her exactly what we wanted. She and her team delivered and then some. 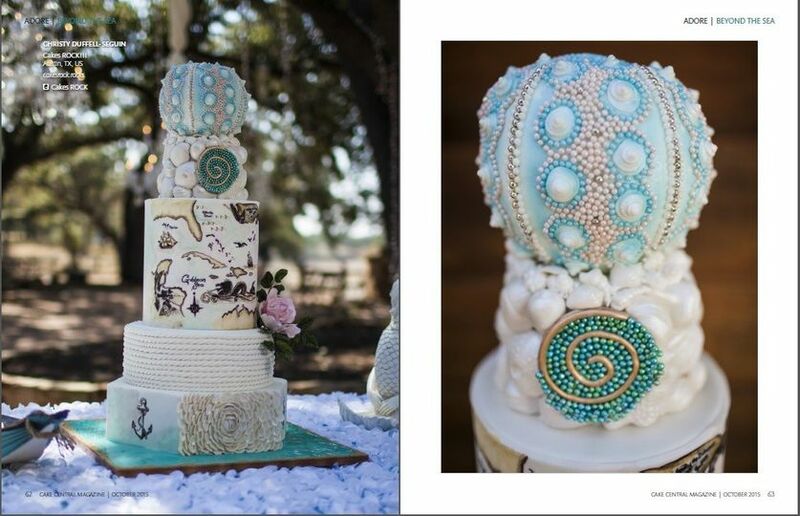 If you are looking for a traditional or a modern/original design, you cannot go wrong with Cakes ROCK. Christy and her team are wonderful! Thank you so much, Pamela! 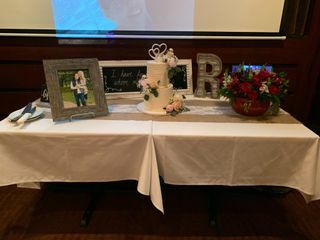 It was our pleasure to create your cakes & we had so much fun!!! Many blessings to you both! This cake was simply amazing! 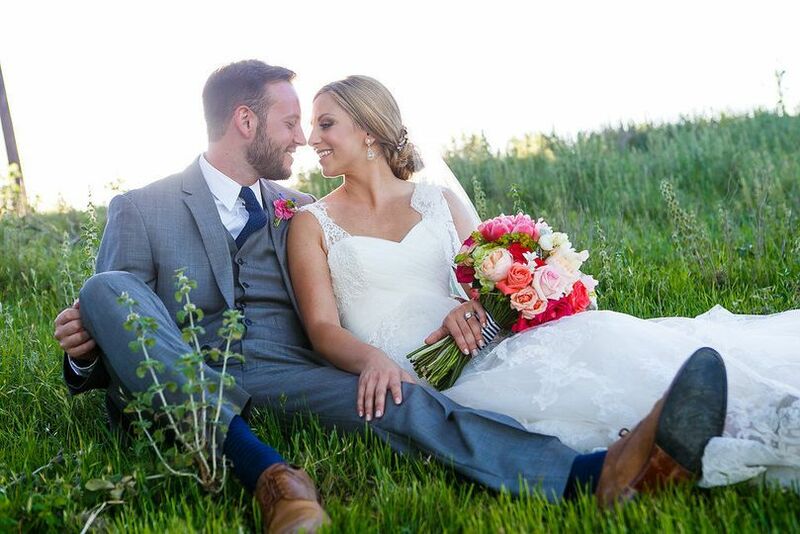 We couldn’t have been any happier, it exceeded our expectations! 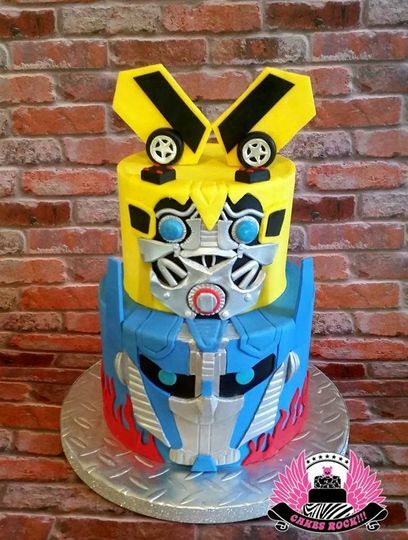 If you want unique, Cakes ROCK is your place! Amazing work (delicious, too!) Such an impressive portfolio! Love, love, love Cakes Rock! 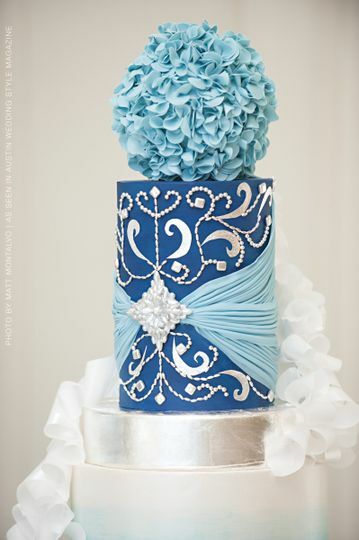 Christy&apos;s cakes are always so beautiful and artfully done. She&apos;s sweet, personable and absolutely crazy in love with what she does so that makes her so great to work with...oh, and the cakes taste amazing too! ;) You can&apos;t go wrong with Cakes Rock!